In the domain of psychological practice, experts follow different methodologies for the diagnosis of psychological disorders and might change their line of treatment based on their observations from previous sessions. In such a scenario, a standardized clinical decision support system based on big data and machine learning techniques can immensely help professionals in the process of diagnosis as well as improve patient care. 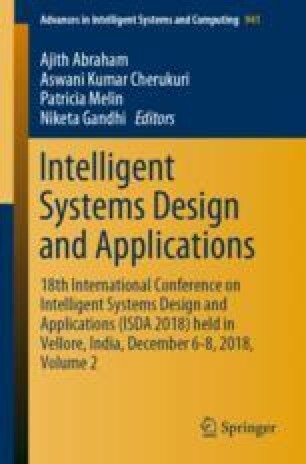 The technology proposed in this paper, attempts to understand psychological case studies by identifying the psychological disorder they represent along with the severity of that particular case, with the help of a Multinomial Naive Bayes model for disorder identification and a regular expression based severity processing algorithm. A knowledge base is created based on the knowledge of human experts of psychology. Psychological disorders however need not possess distinct symptoms to easily differentiate between them. Some are very closely connected with a variety of overlapping symptoms between them. Our work, in this paper, focuses on analyzing the performance of such psychological disorders represented in the form of case studies in a decision support system, with an aim of understanding this gray area of psychology.